Rentquip Canada is a national distributor of light to medium sized construction equipment to the Canadian rental industry. We operate coast-to-coast with three order desks, three warehouses, as well as a bilingual sales force calling on customers across the nation. Rentquip Canada provides clients with a complete selection of only the best rental items available. Furthermore, we stand behind everything we sell with unprecedented service – meaning we will do everything in our power to get your equipment up and running should you experience a problem. All repairs are conducted at our in-house repair centre. If the equipment cannot be fixed, we will replace it. At Rentquip Canada, we pride ourselves with honest values, top of the line products, unparalleled service, and a personable, educated staff. 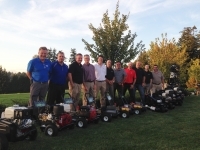 When Jim Freeman of Rentquip Supply and Shawn Parks of P&M Sales shook hands in February of 2008, they did more than agree to merge two companies with common goals, they also completed each other's dream of serving the equipment rental industry from coast-to-coast across Canada. Freeman and Parks have serviced the rental industry for a combined total of 58 years with Rentquip Supply servicing rental stores in Ontario, Quebec and the Atlantic provinces, and P&M Sales servicing stores in BC, Alberta, Saskatchewan and Manitoba. 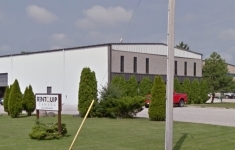 In 2008 the two companies officially joined to create Rentquip Canada Limited, a national distribution company with the sole purpose of exclusively servicing the rental industry with quality products backed by unprecedented customer service. As independant regional leaders in their market, Freeman and Parks have built their companies on a cornerstone of customer service while developing reputations of being specialists in their respective markets. Careful not to over-extend their product lines past their ability to back them up, they have decided to represent select equipment from chosen manufacturers with long-term goals that, in turn, make them the chosen supplier for the rentals stores they serve. In 2010, Rentquip Canada purchased Patron Products Inc. (www.patronproducts.com), a North American supplier of portable heating products. We promise to provide our customers with products and service that is above and beyond. We will never give our customers any reason to question our ability and intention to provide them with the incomparable service levels that they expect. We promise to always improve and expand our knowledge of the rental industry, and to share this knowledge with ourselves and our customers. We promise to achieve a fair profit in all our operations. We promise to be constantly expanding, but never at a rate which will jeopardize our ability to finance and manage the level of service that our customers demand. We promise to conduct ourselves with honesty, integrity, and respect, as we recognize that our actions are a direct reflection of how we are perceived. We promise to view our customers as “Partners”, and to strive to achieve long-term relationships with each and every one of them.